Firstly, a little story about Icelandic school children. 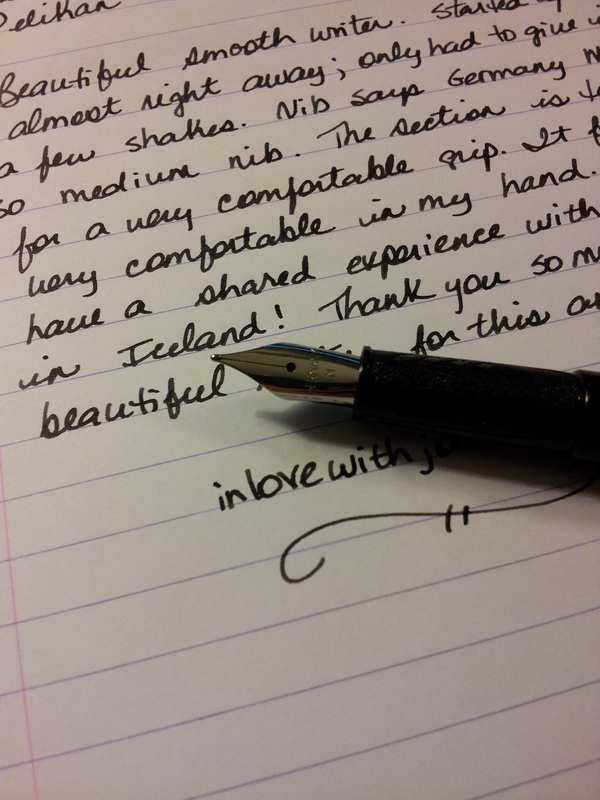 My sister wanted to buy me a fountain pen, but not just any pen; something connected with Iceland, something with a story to tell. A wonderful sales assistant showed her the Herlitz Montana pen, a fountain pen that each child receives upon entering school (or shortly thereafter) for learning how to write cursive. It gives them control over their hand. 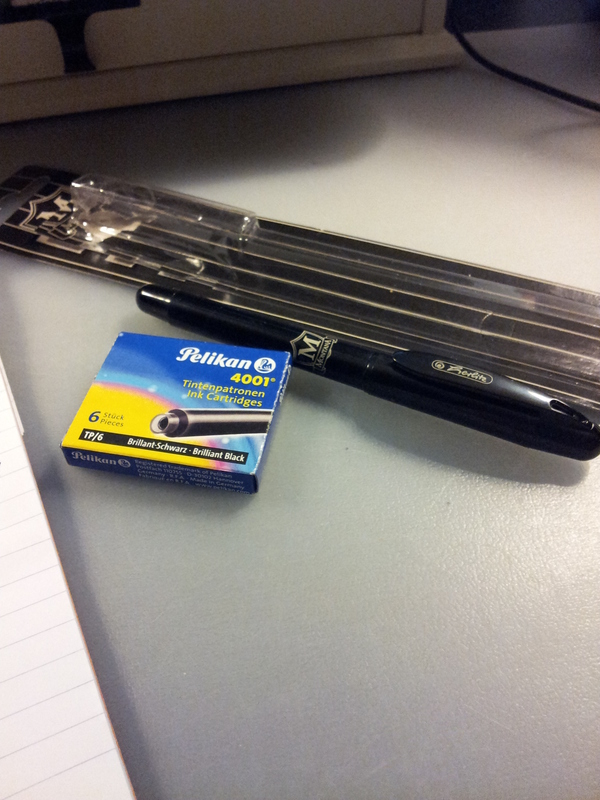 So my sister bought one for me, along with a box of Pelikan cartridges to fill it. I love it!!! It’s very sturdy; you can just imagine it in little hands. 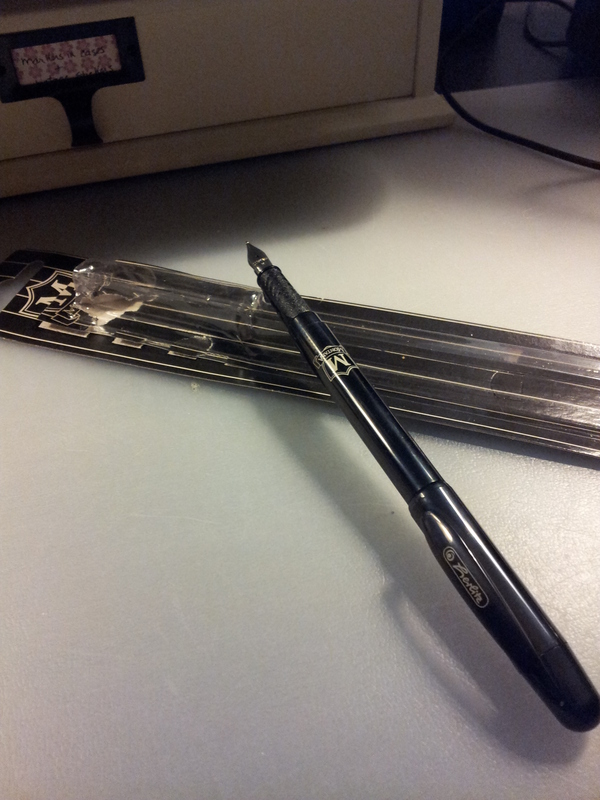 The nib is medium and says GERMANY on it. It posts very snugly and the cap fits on the barrel with a good snap. It feels like it was designed to be thrown into backpacks and school bags. The section is textured so gives a very good grip. I inked it up with the Pelikan cartridges (Brilliant Black) and it wrote after a few shakes, with no skipping or faltering. Very smooth writer. 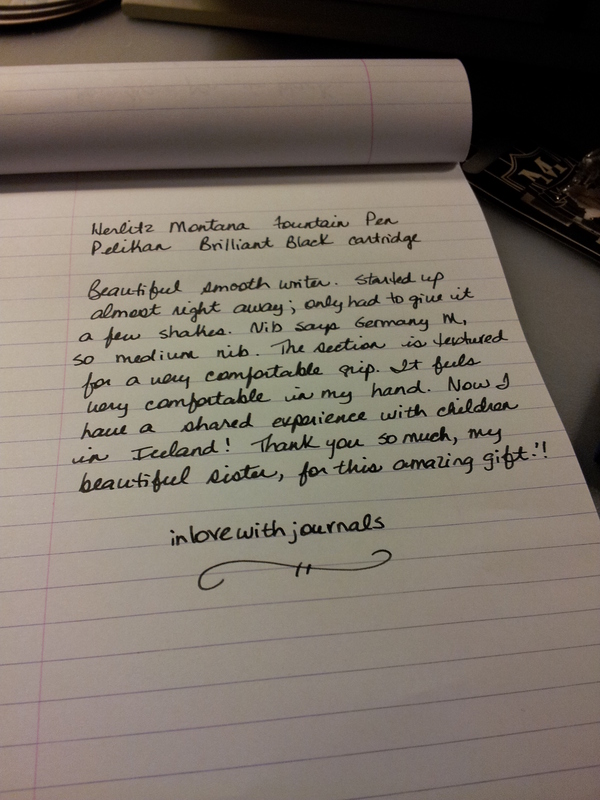 Below is a writing sample on my Rhodia pad. Here’s a close up of that nib. Practical and smart. As if that wasn’t enough, she then presented me with this glorious glass creation. I don’t know anything about manufacturing, but if the patent was established in 1912, as the second line suggests, how could it have been manufactured the year before? I found two listings on ebay for similar items: one is a double inkwell which lists the company as the Gem C & D Mfg. Co. N.Y. USA, and the other is an exact replica of mine (sorry Susan you could have made some money!) The double inkwell is interesting because it suggests there were two Bakelite covers on the ink portion. I think it is fabulous and I’m very blessed to have such a generous sister and friend who are willing to part with it! Thank you! 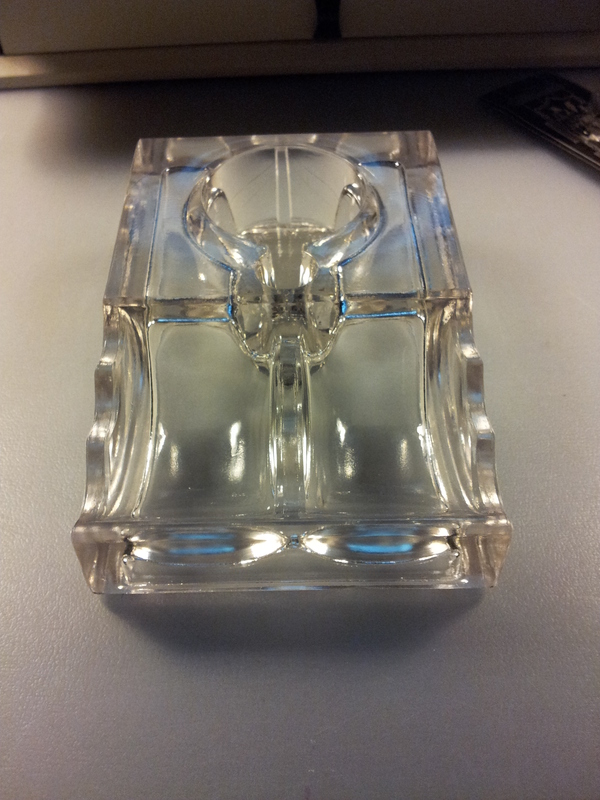 That is a VERY cool inkwell! 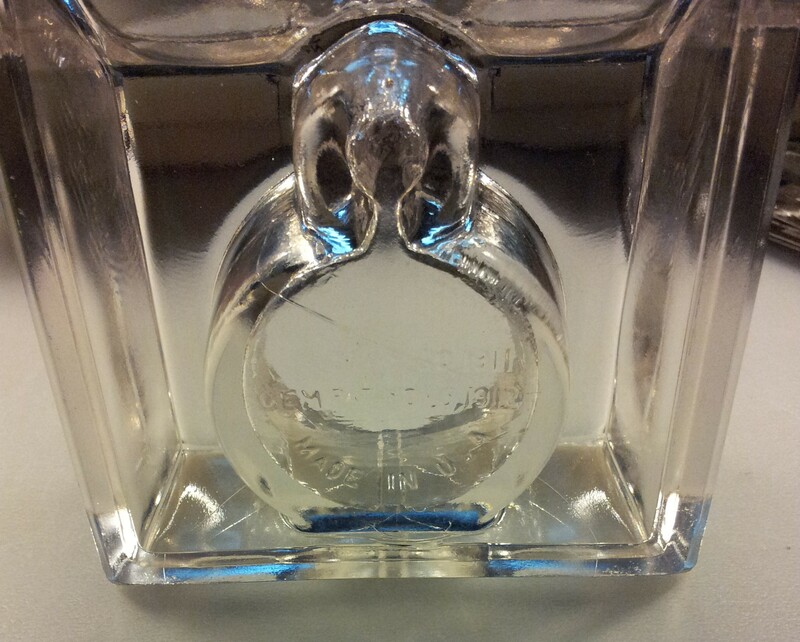 I am thrilled that the inkwell went to a good home, to someone who will treasure it. It had been in our family for 37 years and before that it belonged to Greg’s grandparents. I enjoy your blog very much; thanks for sharing it with us. 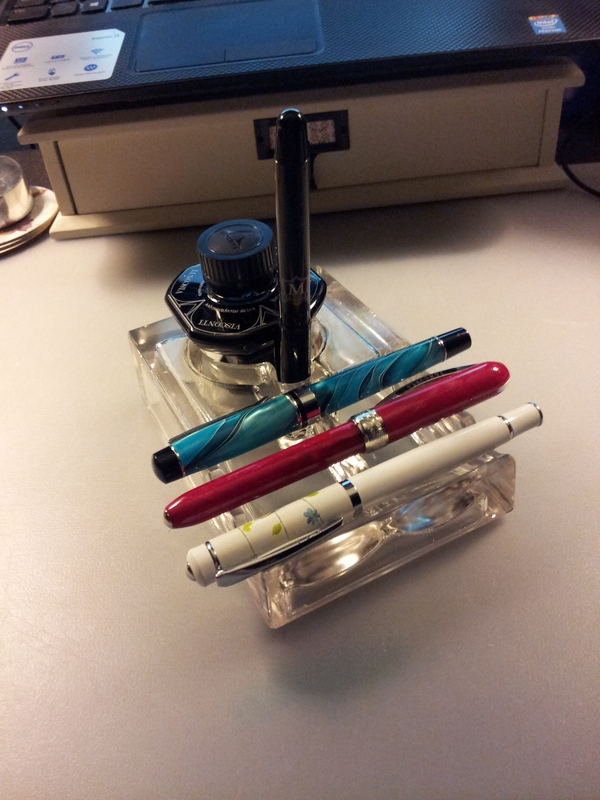 Beautiful ink well. It helps the color of your pens stand out. The story was joyful too. Very pretty. 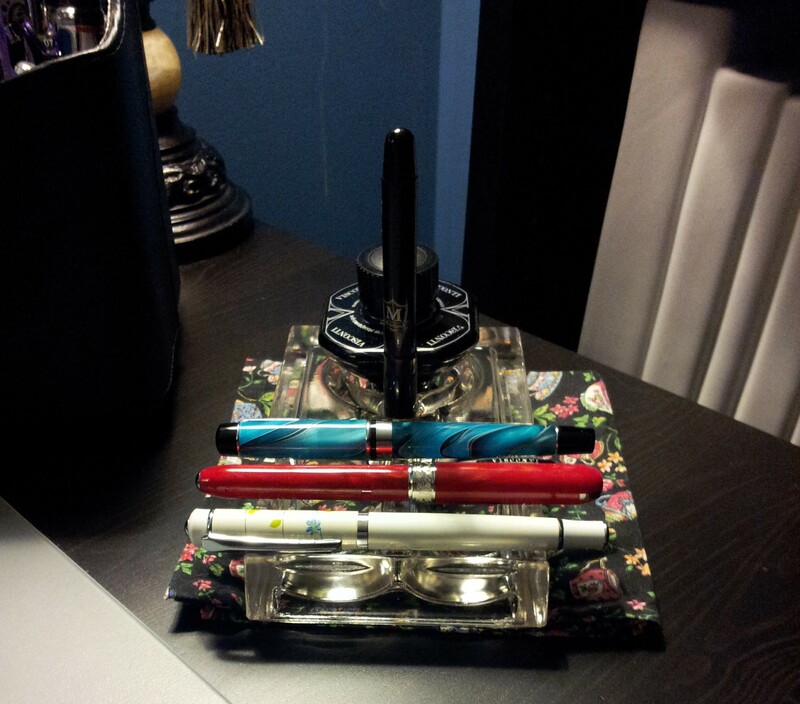 Yes it makes your pens stand out. You are a very lucky girl!